We're such fans of lists. And we're such fans of helping out our readers. So when we decided we were going to be more active about letting you all know about venues in and around Kwa-Zulu Natal, we thought the best way to do it was to look back into our archives and take a page out of our own book. A while ago we wrote a post on things you should know about wedding venues. We also created a handy Wedding Venue Checklist (download it here), for you to take along with on your wedding venue hunts to make some notes. So with that said, let's take a look at Eden Lassie using that check list! 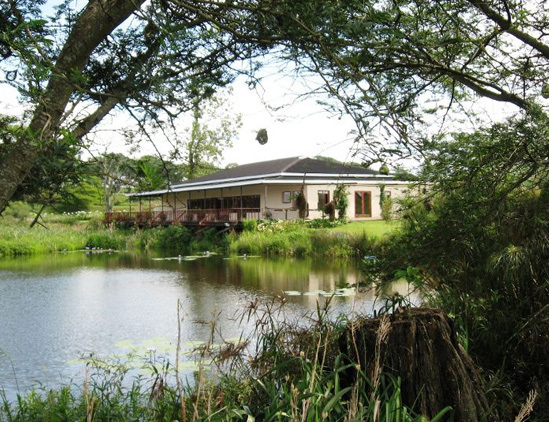 Where: The Tala Valley, that is around 27km from PMB and 70km from Durban. Contact: Judy 083 552 9134 or edenlassie@sai.co.za. Viewing by appointment only. Does the venue come with an indoor or outdoor chapel? 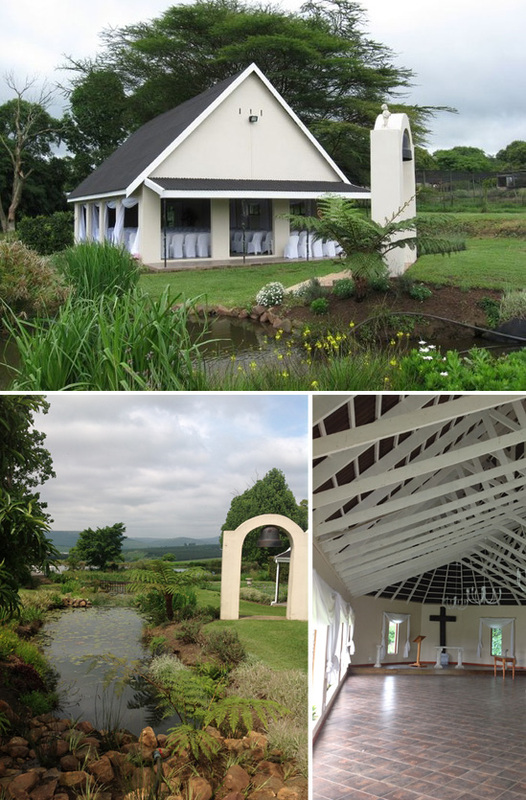 Eden Lassie's ceremony space is a quaint little chapel set in a beautiful garden. Expect a room with stone floors and white rafters. A ceremony space outside is optional, but totally weather permitting. Are you paying for just the venue hire or does it include catering? As with most venues, a venue hire fee is separate from the catering fee. You are required to pay the venue fee as a deposit to secure your day and then catering is paid two weeks before your wedding. 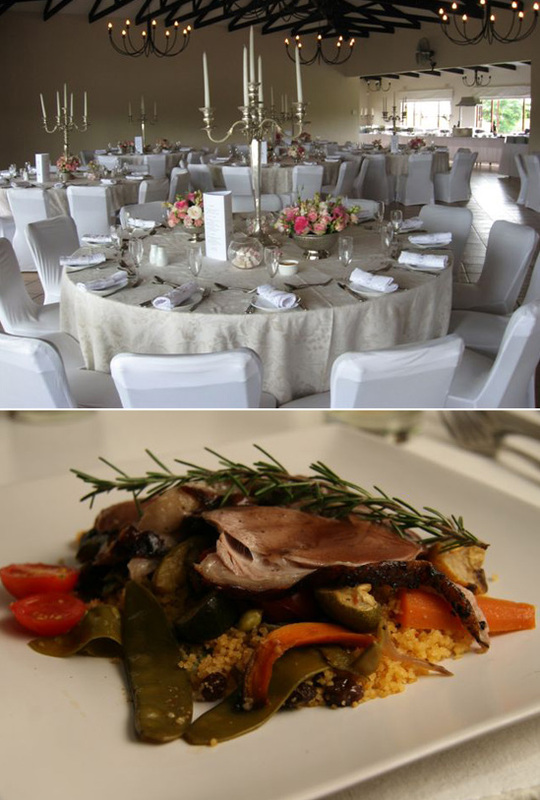 The catering at Eden Lassie is handled by CHC Caterers who offer extensive (and we mean extensive) menu options, perfectly tailored to suit your budget. You can see a sample menu pack here. You can also choose to have a plated or buffet style meal. Included in the catering price are table linens, venue and buffet setup, senior personnel, crockery and cutlery and linen serviettes. They also include waiters for 10 hour service. Does the venue include a honeymoon suit? As their is no accommodation available at Eden Lassie, a honeymoon suit is not available There is however a bridal suite which can be booked out on the day of your wedding to use as you need. Is there accommodation available to your guests? As previously mentioned, Eden Lassie does not have accommodation on site. There are plenty of accommodation areas around the venue though, and Eden Lassie can give you some references. Is there a reception closing time? As is standard with most wedding venues, Eden Lassie closes at 12pm. Does the venue come with a wedding planner. Officially, no. But Judy, the owner, has a reputation for being extremely helpful and full of useful contacts. So we vote yes, essentially it does come with one! What kind of size wedding can be had at Eden Lassie? Aim for between 80 - 200 people at this open style, rafter roof venue. Eden Lassie has a separate bar at the reception. There are no credit card facilities, so be sure to let your guests know that they will need cash. 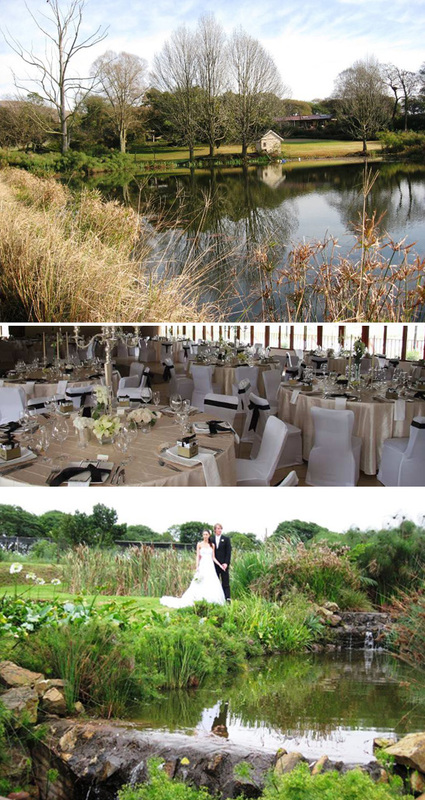 There is a beautiful wooden deck that hugs one side of the reception hall, overlooking a dam. Perfect for sundowners while you are getting your photographs done. If a country chic garden wedding is what you're after, then look no further than Eden Lassie. It's the perfect wedding if you are PMB based, as guests can drive home afterwards. We love the modern open rafter styling of the reception (no draping required, it's gorgeous as is) and chapel and the garden is kept immaculately. The catering options are extensive, and we love that they can tailor-make it to your budget requirements. It's unfortunate that there is no accommodation or honeymoon suite available and the lack of credit card facilities may become troublesome. But we think the pros far outweigh the cons in this garden paradise! All pictures either sourced from the Eden Lassie website or acquired by us through contacts.